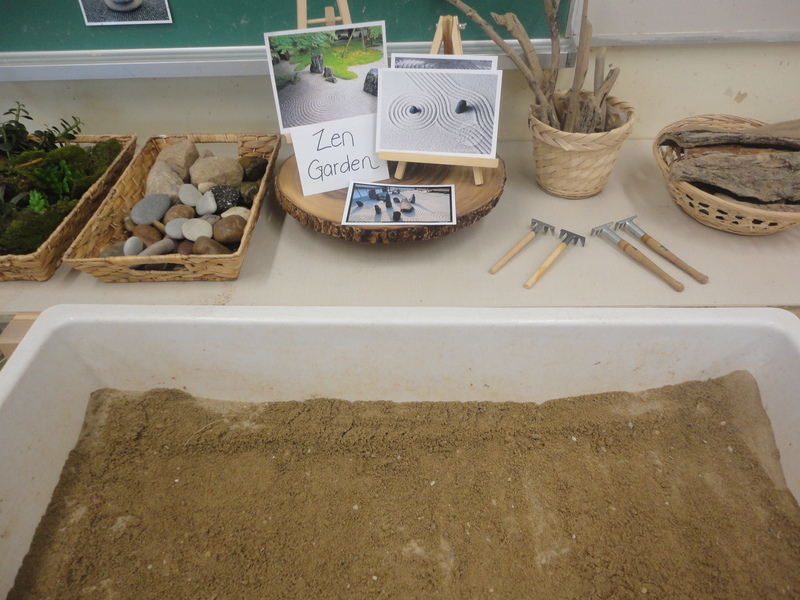 This entry was posted in Loose Parts, Provocations, Sand and Water and tagged design making in sand, garden inquiry, land art, loose parts, Reggio inspired kindergarten, sand centre provocation, sand table kindergarten, zen garden by msmcdonell. Bookmark the permalink. 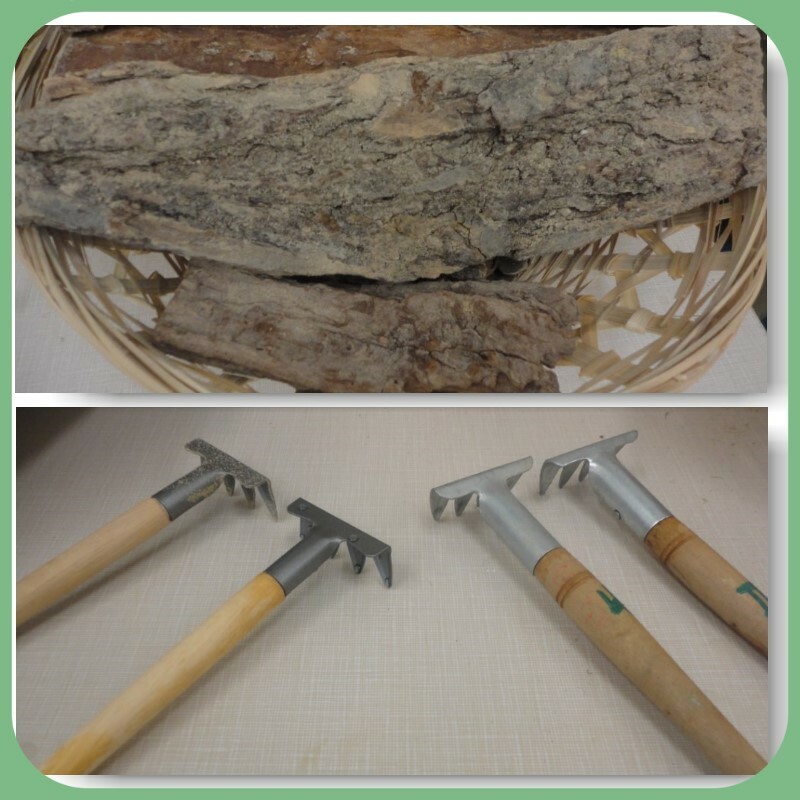 Your posts are very inspiring and I always look forward to seeing and reading what you and your students are inquiring about. I find them creative and interesting. Do you have any special tips for documentation? Also, do you have a sample of a typical day plan- I would like to alter mine for next year and searching for ideas. I’ve posted a sample day plan today so feel free to check it out when you get a chance! Hi Angela! Thank you for taking the time to read my blog. I’m so happy to hear that you have been inspired here! When it comes to documentation, everyone tends to have their own way. I try and capture as much as I can with my camera – I often find that a conversation, or new learning, or interesting discovery can be well represented in a photo. I have a class iPad and class camera that I use to capture images of the children at work. I also have my own camera and iPhone as a backup. For the centres I am specifically looking for new learning or assessing I keep a legal size sheet of paper that has a space for each child where I can record conversations/discussions. I like having all my students on one page – I find it makes it easier for reporting purposes or documentation panels to have everyone’s ideas in one place. It’s also easy just to staple longer recorded conversations to that page if I need more space. If I’m working with a small group, I may use the recorder on my iPhone to capture the conversation so I can write it down later. When we have reflection time, I post photos of the children’s learning with some of their thinking on the SMARTBoard in a notebook file called “Reflections” which is easier to refer to later when I’m giving my parents updates about the week. Most of our centres are also stocked with paper and writing materials for the children to record their own thinking and learning as well – these work samples are invaluable sources of information for how the children are learning and progressing. As for a day plan, I am working on a post about that right now. I hope to get it up on the blog along with a sample copy of our weekly schedule sometime in the next couple of weeks so be sure to look out for it. Thanks again for stopping by! I hope this answered your question. I agree, your posts are truly inspiring and just so interesting! 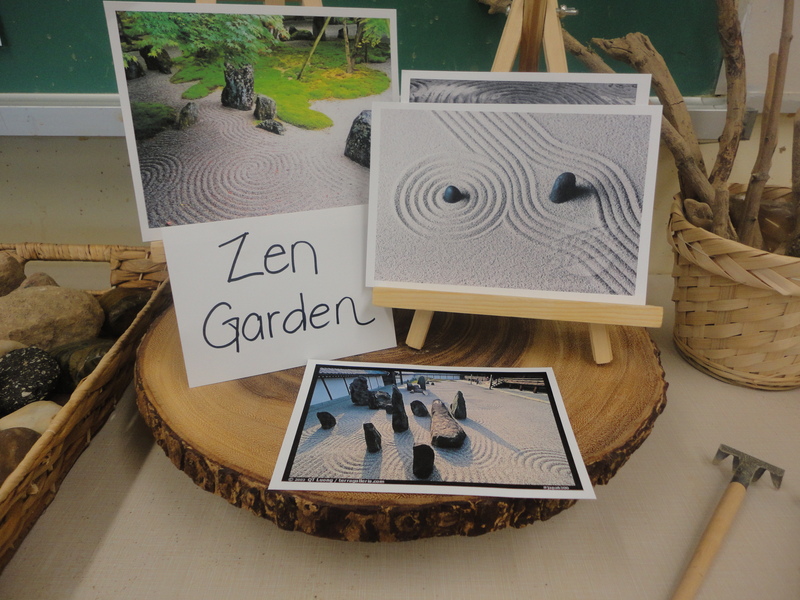 How did you/the students manage to regulate themselves at the Zen Garden centre? It looks and sounds like the students would need ample time and space at this centre to bring their vision and learning to life. How did you manage this? Was there a limit to how many students could be there at one time? Hi Tanya! Thanks for stopping by! What a great question. 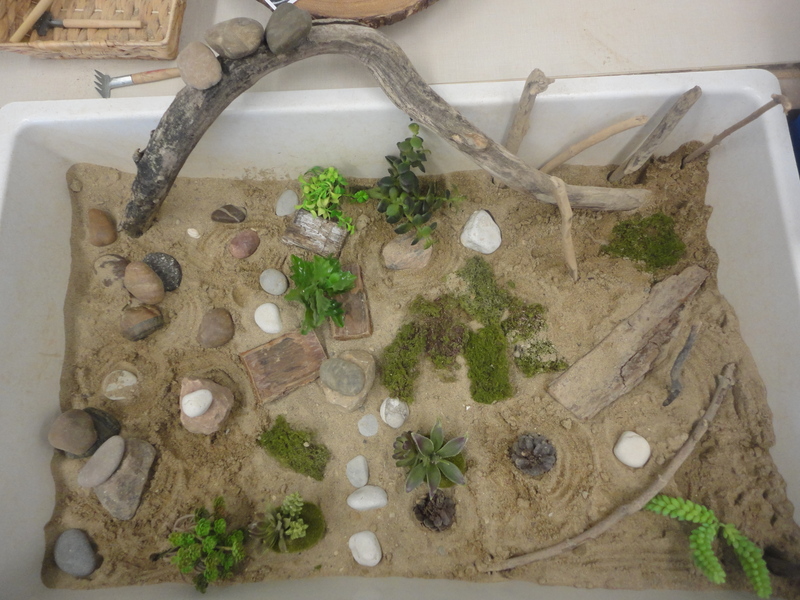 Our sand table can usually accommodate around 3 children but we are flexible on that depending on how the children are able to work together. 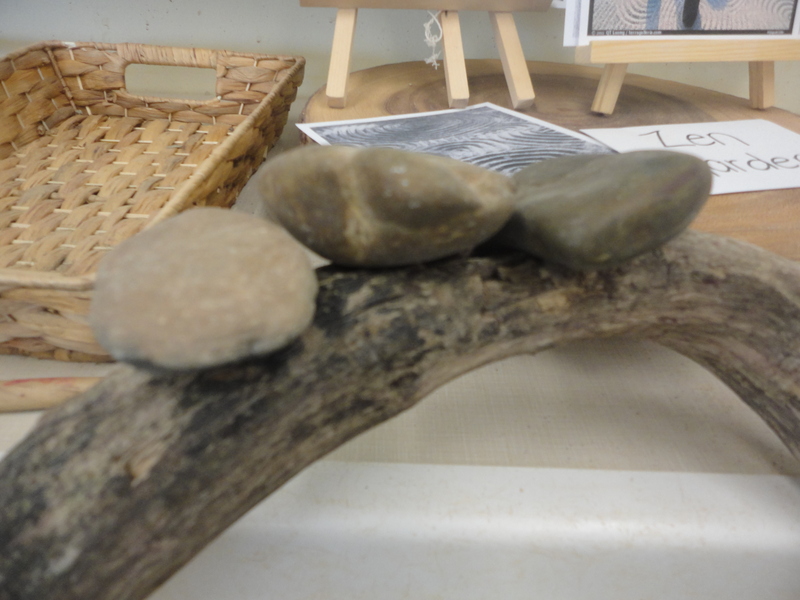 Because of the “zen” nature of this activity I found we were able to accommodate up to 5 kids at once some days – they were all so focused on their design making. The children know that 3 is the unofficial rule, so if there are more than three and things get too crowded or noisy we will ask some students to try again later. I also don’t put any time limits on the children’s work at any particular centre. The wonderful thing about the full day is that there are two full discovery periods per day, so if a child doesn’t get a turn in the morning they can always make a plan to visit the centre in the afternoon. I hope this is helps! 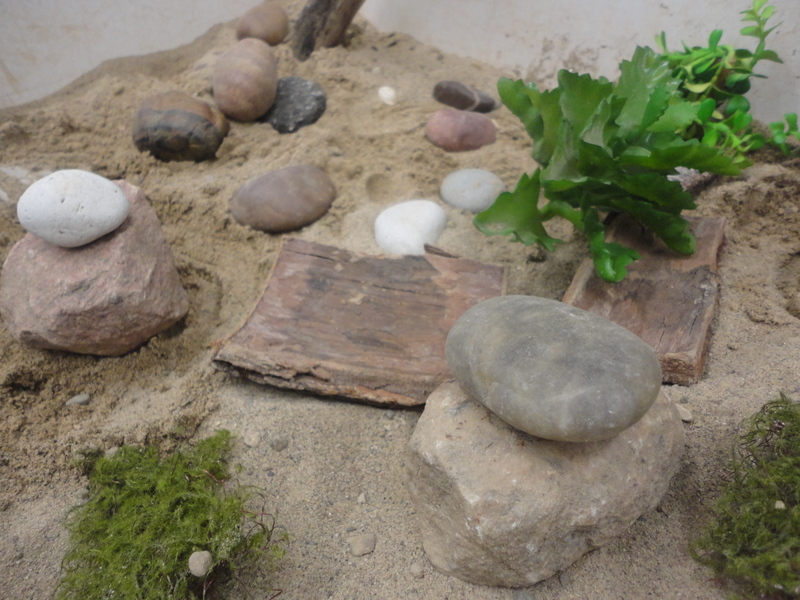 Hi … What kind of sand do you use? Where did you get your little rakes? Hello! 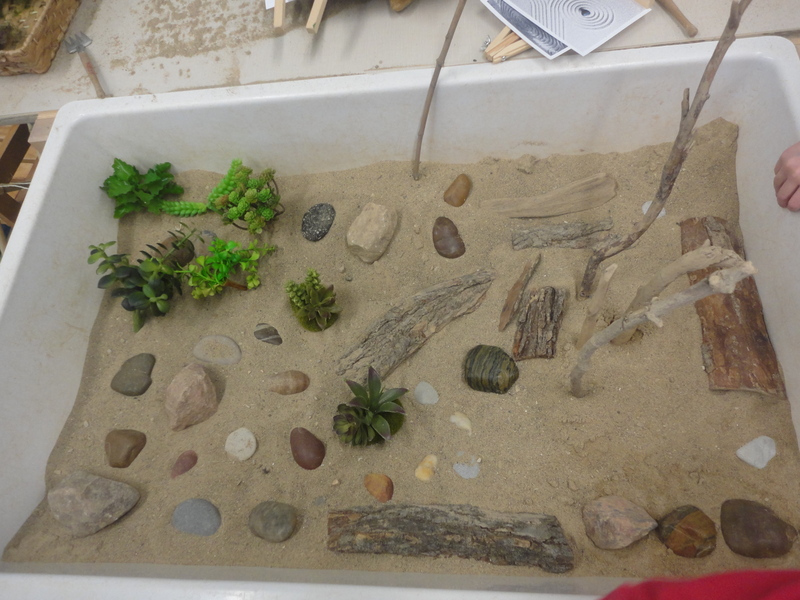 The sand is white sand and the brand is Sandtastik (we can order it through our school consumables). The little rakes are actually from Chapters but I also found some this year at the dollar store. How do you find it when kids pour it? Is it very dusty? Have you found ways to eliminate that? As with any sand you can wet it to remove dust, but to be honest I never noticed this sand to be dusty. 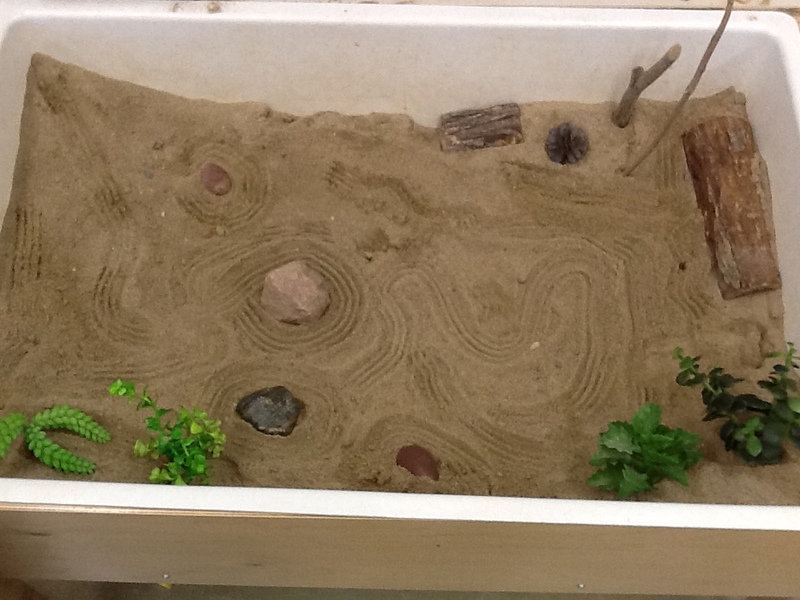 I am wanting to make Zen gardens in my classroom as well. But I have had a hard time finding an appropriate video about them. Which clip did you show from youtube? I just narrated my way through it and skipped ahead to different parts. Thanks so much! 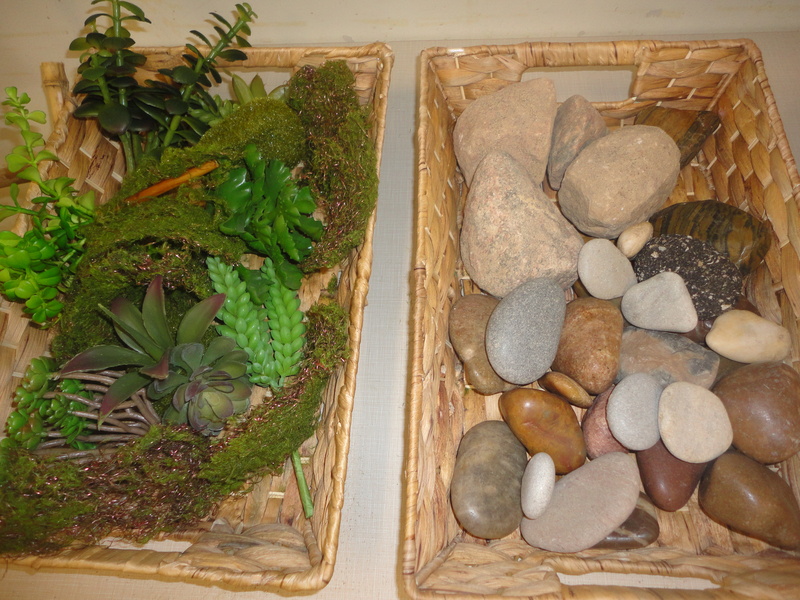 I am looking forward to exploring this concept with my class!